The dining room fireplace in 'The Braes', the Herbert L. Pratt estate designed by James Brite c. 1912 in Glen Cove. 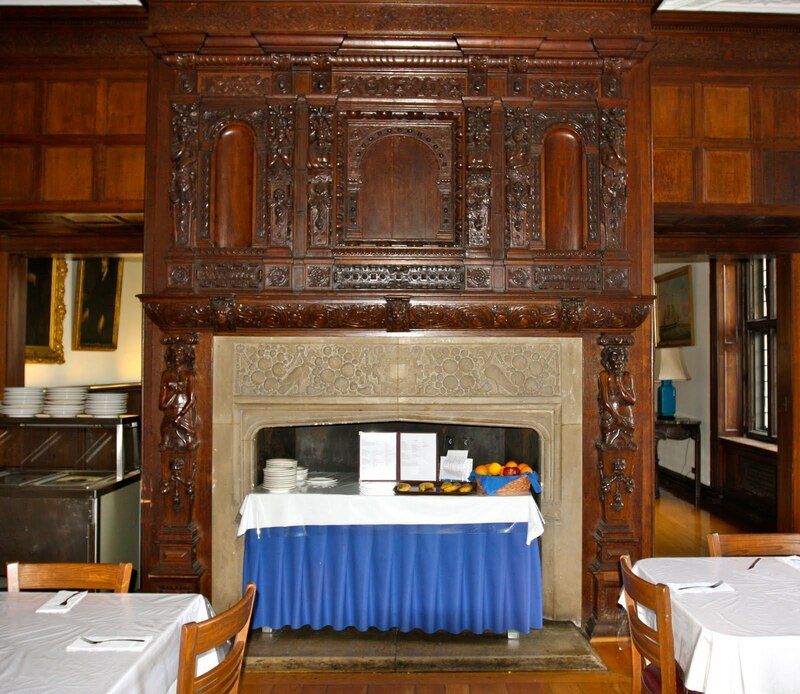 The home is now the Webb Institute for Naval Architecture and continues to use the room for dining. Click HERE for more on 'The Braes'. we're not ahead of the times up here in the country but at least we know what wood is the most efficient to use in a fireplace. maybe i should give those Webb folks a call. nice mantle though. The mantel carvings are a work of art! I will read more. Ahh, can't you just smell the Sterno? Still, it's wonderful that this magnificent home and its interiors have been preserved.